Protesters at the Coleman A. Young Municipal Center July 26, 2013 denounce criminal banks. 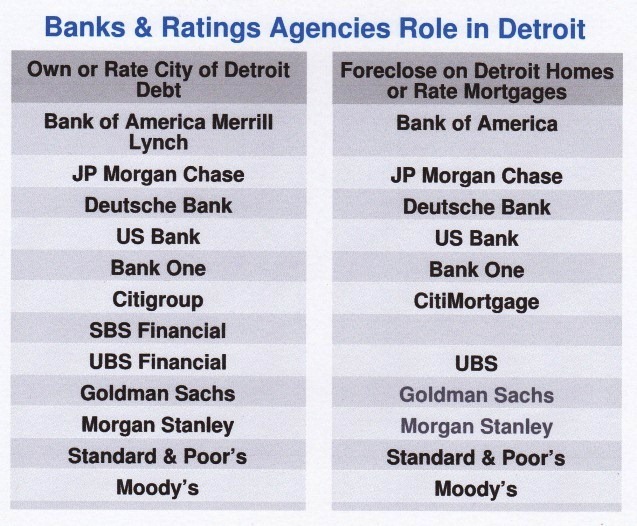 Note from VOD: City of Detroit creditors and home mortgage-holders involved in the probe include Bank of America, Citigroup, Deutsche Bank, Goldman Sachs, JP Morgan Chase, Morgan Stanley, UBS (which loaned the city’s Retirement Systems Service Corporations the disastrous sum of $1.5 billion in a predatory deal), and Wells Fargo. 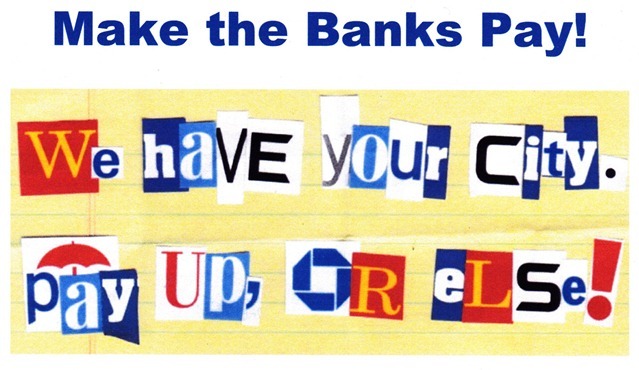 Most of the banks in this slide from the Moratorium NOW! Coalition are involved in this probe. Recorded telephone calls and e-mails reviewed by the Commodity Futures Trading Commission show that traders at Wall Street banks instructed ICAP Plc brokers in Jersey City, New Jersey, to buy or sell as many interest-rate swaps as necessary to move the benchmark rate, known as ISDAfix, to a predetermined level, according to a person with knowledge of the matter. U.S. investigators uncovered evidence that banks reaped millions of dollars in trading profits at the expense of companies and pension funds by manipulating a benchmark for interest-rate derivatives. 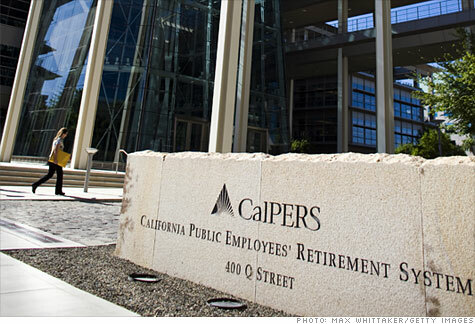 Companies, pension funds and investment firms from CalPERS, the largest U.S. pension, to Newport Beach, California-based Pimco, manager of the world’s biggest mutual fund, use the kind of derivatives at the heart of the ISDAfix probe to hedge against losses or to speculate on interest-rate fluctuations. 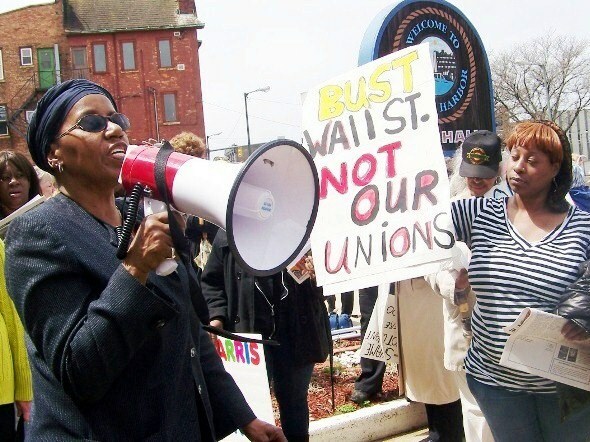 Cecily McClellan of Detroit speaks in Benton Harbor in 2011 against Wall Street banks, EM law..
By rigging the measure, the banks stood to profit on separate derivatives trades they had with clients who were seeking to hedge against moves in interest rates. Banks sought to change the value of the swaps because the ISDAfix rate sets prices for the other derivatives, which are used by firms from the California Public Employees’ Retirement System to Pacific Investment Management Co., said the person, who asked not to be identified because the details aren’t public. That may run afoul of the 2010 Dodd-Frank Act, which bars traders from intentionally interfering with the “orderly execution” of transactions that determine settlement prices. The phone calls and e-mails emerging since Bloomberg News first reported in April on the rigging of ISDAfix add to growing evidence that banks have gained financially by distorting key financial gauges in world markets on everything from interest rates to currencies to commodities. The revelations show the manipulation of the London interbank offered rate, or Libor, a benchmark for $300 trillion of securities, may be the tip of the iceberg. The Libor probe has so far led to fines of about $2.5 billion against Barclays Plc (BARC), UBS AG (UBSN) and Royal Bank of Scotland Group Plc. (RBS). While the indexes under scrutiny are little known to the public, their influence extends to trillions of dollars in securities and derivatives. Britain’s markets regulator is looking into the currency market, where $4.7 trillion is exchanged each day, after Bloomberg News reported in June that traders have manipulated key rates for more than a decade. 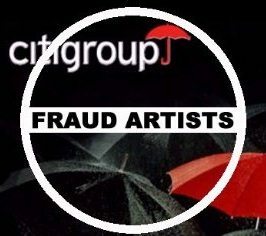 As part of the ISDAfix investigation, the CFTC has interviewed more than a dozen traders and brokers since May at Barclays and ICAP, both based in London, and New York-based Citigroup Inc., and plans to talk with people at 13 other banks as it sifts through 1 million e-mails, the person said. Barclays gave the CFTC recorded phone calls, the person said. CalPERS retirees are under the gun in bankruptcy fillings in Stockton, San Bernandino and other cities in California. “ISDAfix, more obscure than Libor, has the potential to affect more people’s lives” because it’s used by pension funds to hedge portfolio risks and by most companies or users of fixed-income derivatives, said Jack Chen, a financial consultant in New York who has written about the swaps benchmark and Libor for SFC Associates, a financial consulting firm specializing in litigation matters. “In three years, ISDAfix will be the bigger story and could be potentially bigger than Libor in terms of damages,” he said. Representatives from Calpers and Pimco didn’t immediately respond to requests for comment. 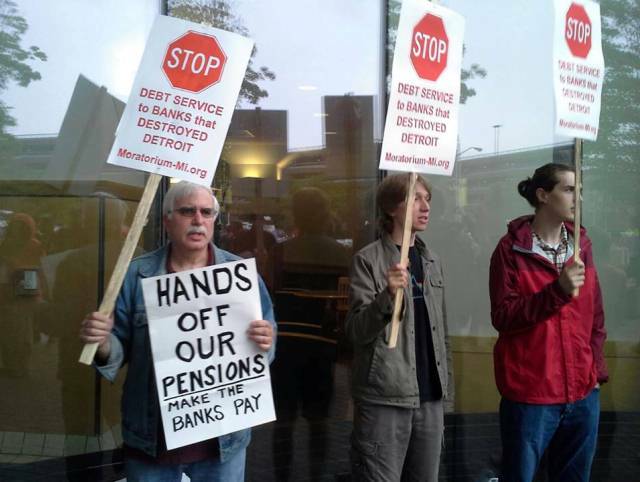 Swaps on Detroit’s Pension Obligation Certificates involving UBS and Bank of America will be discussed at bankruptcy hearing Aug. 28, 2013. ISDAfix is used to value derivatives trades known as swaptions, which are options on rate swaps. The contracts give the holder the right to swap a fixed- for a floating-rate obligation at some future point at a predetermined level. The amount of derivatives underlying swaptions contracts outstanding as of July 26 totaled $29.5 trillion, according to the Depository Trust & Clearing Corp.
ISDAfix rates also help determine everything from borrowing costs on bonds that finance skyscrapers to interest on annuities. The benchmark, set in five currencies, is used to price euro-denominated corporate bonds and $550 billion of securities tied to commercial real estate. Fluctuations help determine the performance of structured notes bought by wealthy individuals. Kerrie Cohen, a spokeswoman for Barclays, declined to comment, as did Scott Helfman of Citigroup and Steve Adamske, a spokesman for the CFTC in Washington. “ICAP is cooperating with the CFTC’s wider inquiry into this area, and due to its pending nature we will not be commenting further,” Guy Taylor, a spokesman, said in a telephone interview. Banks set ISDAfix for 10-year rate swaps at 2.861 percent yesterday, up from 1.785 percent at year-end, according to ICAP data. Commodities Futures Trading Commission is investigating swap deals. CFTC investigators are piecing together evidence that shows swaption traders at banks worked with rate-swap traders at their own firms to manipulate ISDAfix, the person said. The swaption traders told their rate-swap colleagues the level at which they needed ISDAfix to be set that day in order to bolster the value of their derivatives positions before these were settled the next day, the person said. The rate-swap trader would then tell a broker at ICAP, the biggest arranger of the contracts between banks, to execute as many trades in interest-rate swaps as necessary to move ISDAfix to the desired level. This would be done just before 11 a.m. in New York, the time when current trades are used to create reference points that help determine the final ISDAfix rates, the person said. In manipulating ISDAfix, ICAP brokers profited from the commissions they received from the interest-rate swap trades banks ordered to influence the benchmark, the person said. Banks were willing to endure trading costs with the brokers that may have reached hundreds of thousands of dollars because they stood to earn millions on swaptions by manipulating ISDAfix by as little as a quarter of a basis point, or 0.0025 percentage point, the person said. 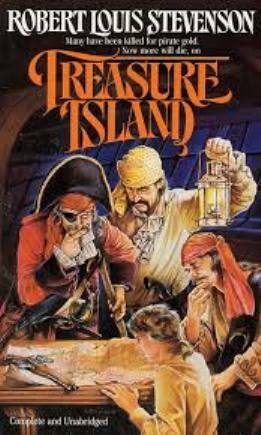 The CFTC investigation is centered on ICAP’s (IAP) U.S. interest-rate swap desk, nicknamed Treasure Island because brokers there were paid as much as $7 million a year at the market’s peak, two people with knowledge of the matter said in April. 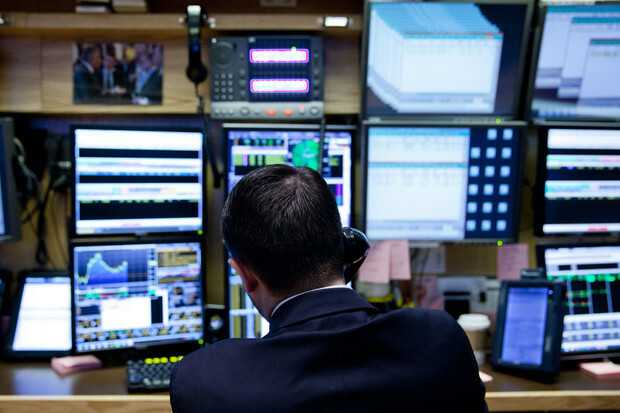 Trader works on floor of U.S. stock exchange. ICAP manages an electronic screen known as 19901 on which rate-swap prices are displayed throughout the day to about 6,000 corporate treasurers and money managers so they can value positions. The trades displayed on the screen are used to create the reference points for ISDAfix rates, according to ISDA’s website. ICAP then sends the reference point to banks, which either accept it as their contribution to the benchmark or submit a different value. The team of about 20 Treasure Island brokers made $100 million to $120 million annually for ICAP around 2008 and 2009, the people said in April. Rates swaps with a notional value of $370 trillion were outstanding at the end of 2012, according to the Bank for International Settlements. 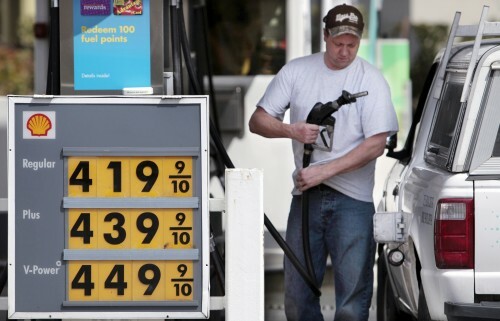 Shell is part of investigation; rigging may affect gas prices. Investigators will need to produce e-mails that clearly show manipulative intent by traders, as they did in the Libor probe, Chen said. Otherwise, the banks may be able to defend the actions as typical trading activities, he said. Regulators from New York to Singapore have begun looking into the possible rigging of other market benchmarks. NYSE Euronext, owner of the New York Stock Exchange, said last month it will replace the British Bankers’ Association in administering Libor rates and vowed to restore confidence to the measure amid the rigging scandal. Libor has been overseen by the U.K. Financial Conduct Authority since April as part of an overhaul. The European Commission said in May it was investigating Royal Dutch Shell Plc, BP Plc and Statoil ASA, three of Europe’s biggest oil explorers, over potential manipulation of Brent Crude, which helps set prices in the $3.4 trillion-a-year global oil market. Neste Oil Oyj, Finland’s only refiner, was asked to provide information regarding the probe. 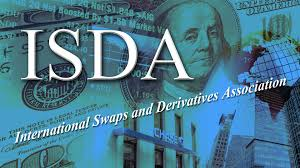 The International Swaps and Derivatives Association created ISDAfix in 1998 along with the predecessors of Thomson Reuters Corp. and ICAP. “ISDA developed ISDAfix to facilitate the determination of exercise values for cash-settled swap options,” the New York-based lobbying and trade group says on its website. The rates are distributed by Thomson Reuters, Telekurs and Bloomberg LP, the parent of Bloomberg News, according to ISDA’s website. Bloomberg competes with ICAP in some businesses, including foreign-exchange and swaps trading. Click on Understanding the ISDAfix Controversy and Its Potential Impact for further info. Moratorium NOW! slide by Mike Shane. A man (or woman) who posts without a name is a COWARD! Written by a City of Detroit Fireman. Ms Bukowski, keep up your good work, it is GREATLY appreciated. I would like you to meet (and possibly interview) my cousin also a Detroit fire fire who is a leader in the movement to educate the citizens of Detroit. I noticed you haven’t had much to say about the Detroit Mayoral election lately. Wattsa matter, Diane, cat got your tongue? What happened to the candidate you endorsed? For that matter, what happened to Crittendon? Did the masses show up and let their voices be heard? How come the total embargo on any news about what, 3 weeks ago, was a very important issue to you??? DO NOT CALL ME BY MY FIRST NAME, first of all. Shows you have no proper home training. Secondly, if you read VOD’s last article on the elections, it was clearly said that the elections are NOT the forum we need to be engaging in right now–they are basically a distraction. Ms. Crittendon was the candidate I favored for her resistance at the cost of her job all through last year. 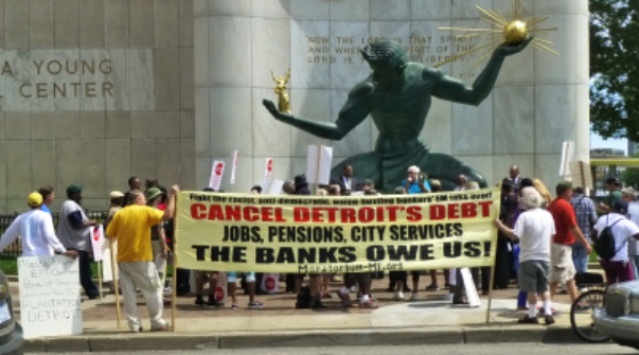 It is time now for people LIKE YOU who have nothing better to do with their time than to post negative messages to GET OUT IN THE STREETS AND MOBILIZE THE PEOPLE TO TAKE BACK DETROIT. If you aren’t interested in that, don’t comment any more. Assinine comments like yours will simply not be allowed due to the low level of intelligence they represent.